Can I be transparent with you for just a moment? This past two weeks have been a NIGHTMARE! Sickness ran rampant through my home, but I am happy to say that after two trips to the doctor, two prescriptions, and countless over-the-counter medications, I am starting to feel like a human again! With all of that being said I am ready to start easing back into cooking. I have missed it, but that doesn't mean I am ready to get all crazy in the kitchen. This is why I love recipes like my delicious Blackened Chicken. 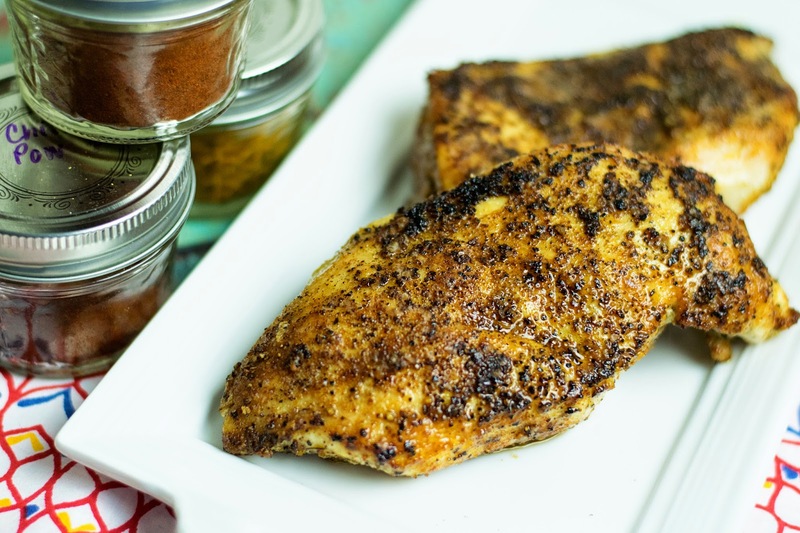 With just a few, simple spices from my pantry I can take these boneless skinless chicken breasts from ordinary to extraordinary! You won't believe how easy it is and I can't wait to show you how I do it! Mix together and store in a airtight container. Next, trim the "unsavory bits" from your chicken and season on both sides of the chicken with salt and pepper. Next, season on both sides with the Cajun seasoning, about a teaspoon per side. Now place 2-3 tbsp. of vegetable oil in an oven-safe skillet and place over medium/high heat. Allow the skillet to get hot. Place the chicken in the skillet and cook for 4-5 minutes. Place in a 400 degree oven and bake for 10 minutes. In less that 20 minutes you have this succulent and spicy chicken, ready for your family to devour! It is the perfect weeknight entree and I know you are going to love it! 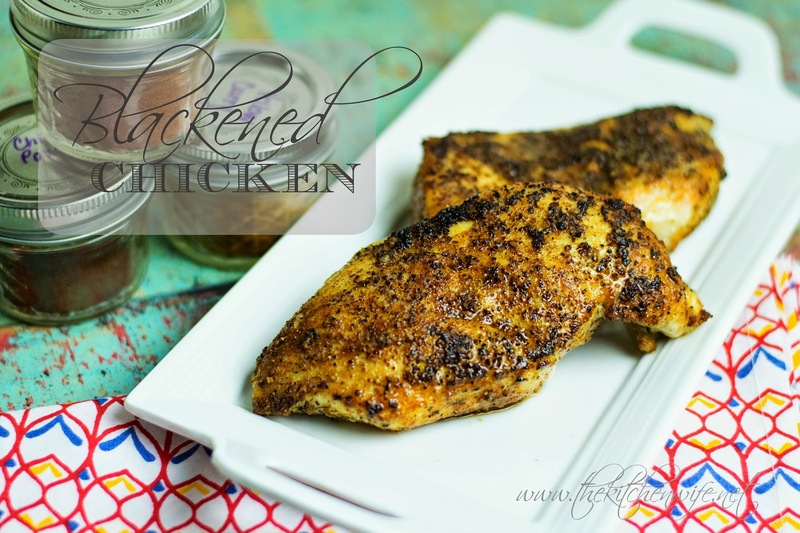 So if you are wanting to ease back into your week, get in the kitchen and give this Blackened Chicken a try tonight! You won't regret it! Trim the chicken and season on both sides with salt, pepper, and Cajun seasoning. Add 2-3 tbsp. of vegetable oil into an oven-safe skillet and place over medium/high heat. Allow the skillet to get HOT. Place the chicken into the skillet and cook for 5 minutes. Flip the chicken and place the skillet in the preheated oven and cook for 10 minutes.